"Do we even have a choice any more?" Yukio responds by saying that he’s only there because he got dragged into it, and has no obligation to help any further. Ganju begins to tell Yukio what will happen should they lose, only for Yukio to quickly ask why Ganju is even considering the possibility of losing. This immediately shuts Ganju up. Ichigo sides with Yukio on this argument, and also tells Riruka to stay behind as well, as the upcoming battle isn’t suited to her style of fighting. "Unless you can put one of the Quincies in the body of a stuffed pig toy. Then you'd be useful." 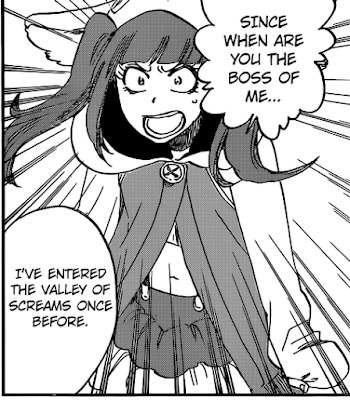 When Riruka tries to argue, Ichigo tells her that he’s entered the Valley of Screams once before, and that Riruka would never normally consider something like that ‘cute’. 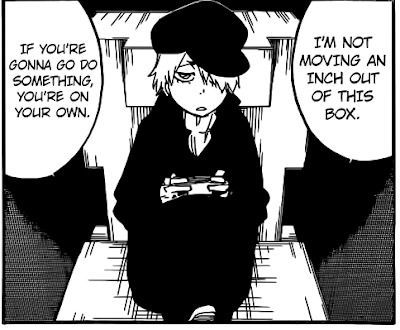 He goes on to thank Riruka for using her powers to help them, and he asks her to keep Yukio company so they can use the box for a quick getaway when the time comes. 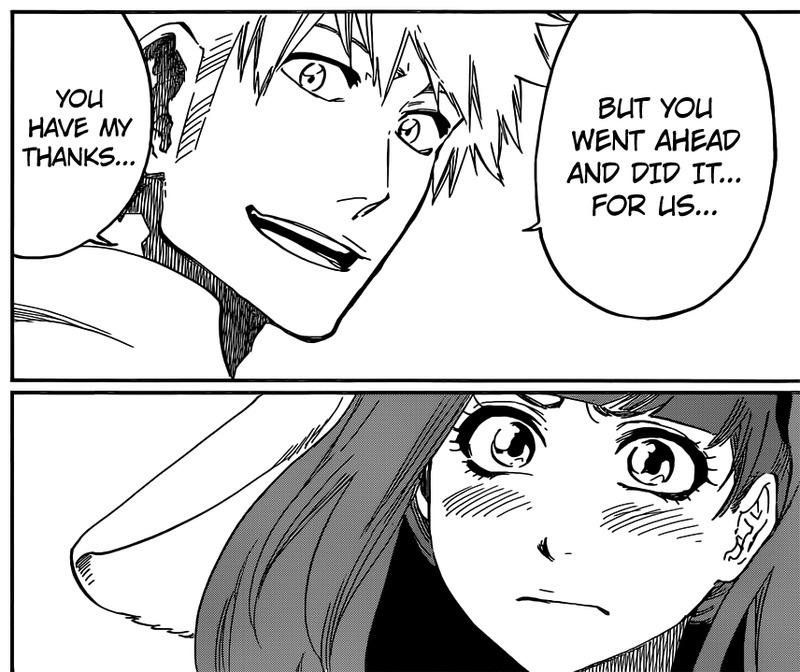 Riruka backs down and agrees to Ichigo’s request, whilst Ganju notes that Ichigo has matured since the last time they met. "Sorry, but those bunny ears won't protect you forever." Down in the Soul Society, the Vandenreich buildings are being broken apart and lifted into the sky by Yhwach’s power. Seeing this, Shinji starts asking why this had to happen the moment they finished building the gate to the Spirit King’s Palace. As the Soul Reapers watch the rubble fly into the sky, Ichigo and his group finally arrive at their destination. At the same time as they prepare to leave the box, Urahara completes the gate and asks if everyone is ready to go. The box’s door opens to reveal a city that looks suspiciously similar to the Vandenreich’s buildings in the Soul Society. As the group wonder if something went wrong and they’re not in the Spirit King’s Palace, Yoruichi spots the stake that she planted in the ground earlier and realises that they actually reached their intended destination. She then comes to the conclusion that Yhwach has completely reshaped the Palace to suit his own needs. Truly, it is a thing of beauty. Yukio’s decision to stay behind was surprising at first, since he’d previously shown no reluctance towards helping the group. However, chances are high that at some point, he’s going to have to leave the box with Riruka and join in on the battle. It’s also likely that, should this happen, they’ll meet the rest of the Fullbringers – i.e. Ginjo, Tsukishima and Giriko. Which reminds me – where are Jackie and Moe? "Plus, my charger cable only stretches about three feet." Given that Ichigo mentioned being in the Valley of Screams before, does this mean that the first movie, Memories of Nobody, does this mean that the events of the movie are now canon? To the best of my recollection, I can’t remember the Valley of Screams showing up in the manga before this point, so it would appear that Tite Kubo has confirmed the canonicity of at least one of the Bleach movies. "God dammit Yukio, if you've driven us the wrong way I swear to God..."
Since the Vandenreich buildings have crumbled away from the Soul Society, does that mean that the normal buildings have returned? Or is the Soul Society just going to be a barren stretch of land once Yhwach is finished? 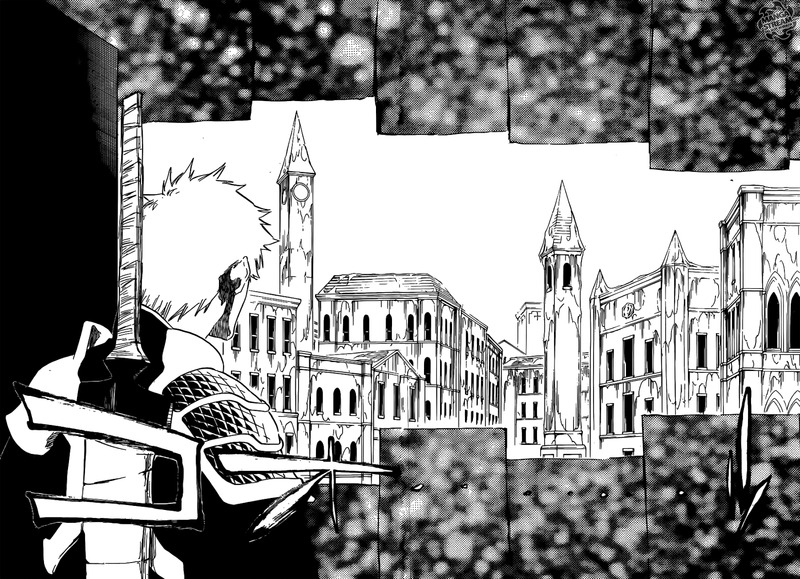 The Vandenreich buildings were originally superimposed over the Seireitei buildings due to the Quincy’s use of shadows, but since nothing like that happened this time, that implies that the Soul Society buildings are still inside the shadows. There’s also the question of whether or not any Soul Reapers were swept up in the rubble. 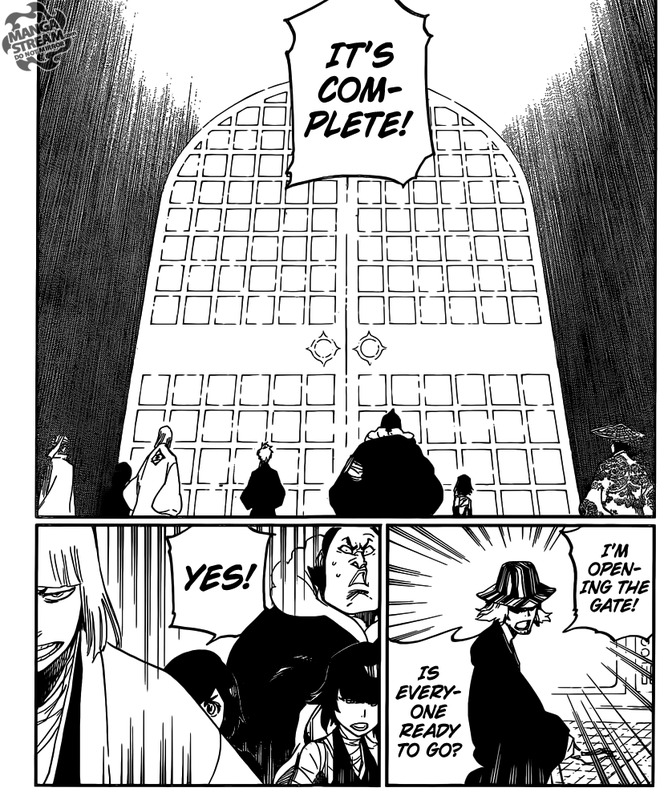 Finally, how come Ichigo’s group arrived so far away from the actual Palace? 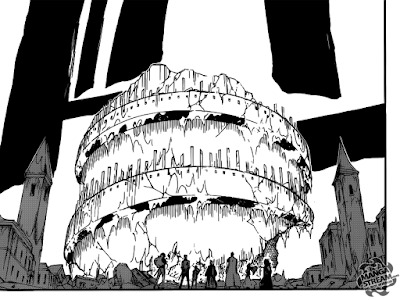 Yoruichi placed the stake at the very top of the Palace during their fight with Yhwach, and it going by this chapter, it appears that it wasn’t removed from its hole in the ground. If Yhwach noticed it and moved it away from him, why didn’t he just destroy it? It’s a minor point, and it probably won’t hold any relevance to the actual story, but it just bugs me a bit. These two panels alone give Riruka 10 adorable points. 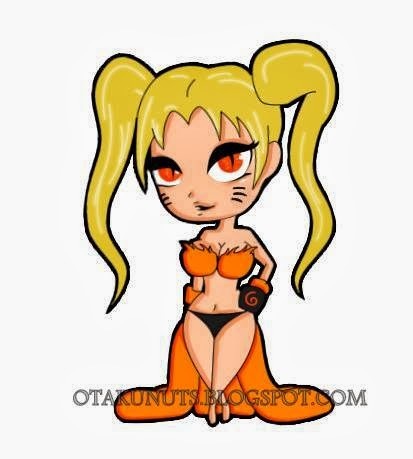 On a somewhat unrelated note, I now have an ask.fm account at ask.fm/ClayDragon! Check it out and ask me questions if you feel so inclined, or you can request a Top 10 list or an anime review from us if you feel like knowing our thoughts on such matters. I’ll try my hardest to answer any questions (well, the serious ones at any rate). 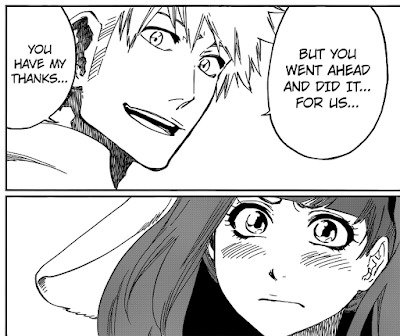 It was at this point that I realised I would be completely okay with an Ichigo x Riruka ship. Good Things: The heroes are finally ready to invade the Spirit King’s Palace (again). The gate is ready at last. Bad Things: Quite a lot of padding in the latter half of the chapter. ClayDragon is currently studying Physics at university, and is constantly bewildered by it. The main method of contacting him is his Gmail account at kyleroulston1993@gmail.com. He has an ask.fm account at ask.fm/ClayDragon. When not playing games or reading, he can be found with his head in his hands whilst trying in vain to understand quantum physics. Today's mood: Still sleepy. I wonder Yukio and Riruka being in the box, so Ichigo and co can escape, will be relevant in the future? 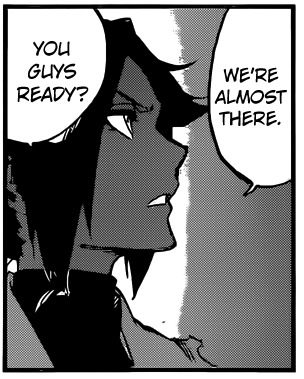 There is still the problem that Yhwach is overpowered and also the new Soul King. I don't think it's a good idea to kill the new Soul King. I think it will come up again in the future. After all, it looks as though the box is the only way Ichigo and co can leave the Palace. And yes, killing the new Soul King is definitely not a good idea. I doubt we'd see him get sealed away though, it does seem anticlimactic if that happens.